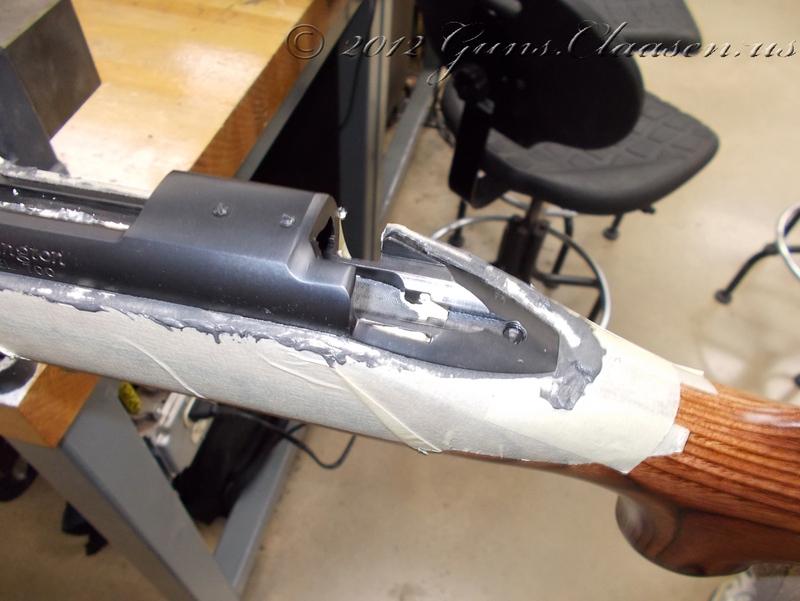 Started on my Remington 700 project this week (March 19). I am putting a lot of attention to detail into this one as I am building it for my wife! 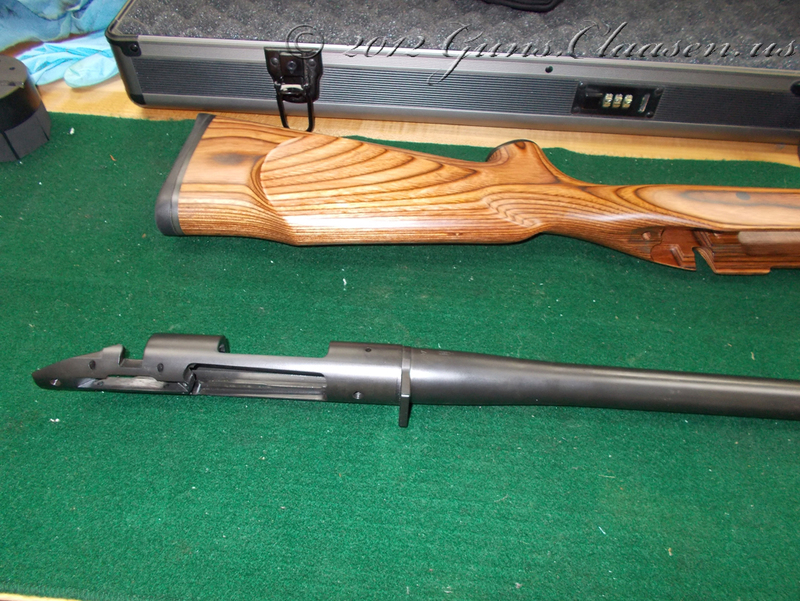 This is a brand new action from Remington chambered in .223 Remington. I did contemplate doing this in 5.56×45 but we do not have the correct reamer. (I listed the calibers incorrectly before. My mistake, I am blaming it on the fact that I was working on my Winchester 94!) 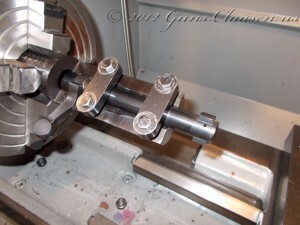 The first picture shows the action and bolt. 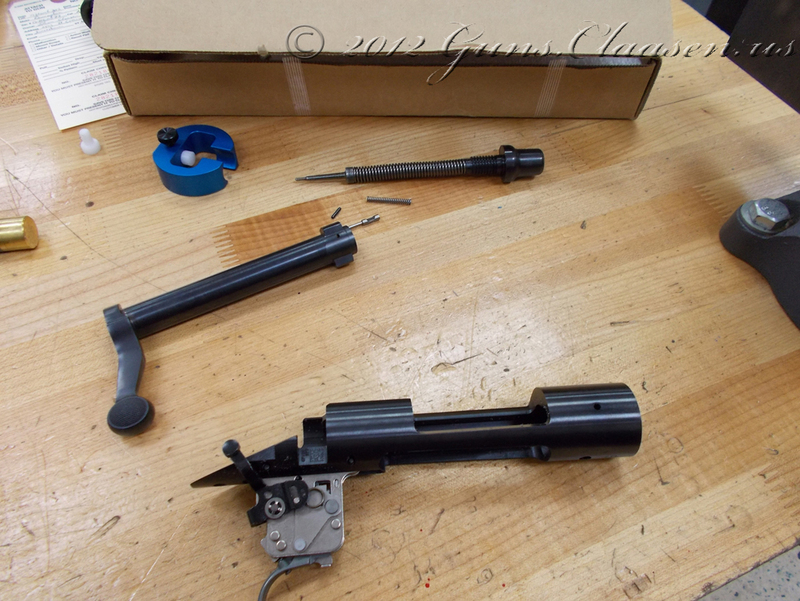 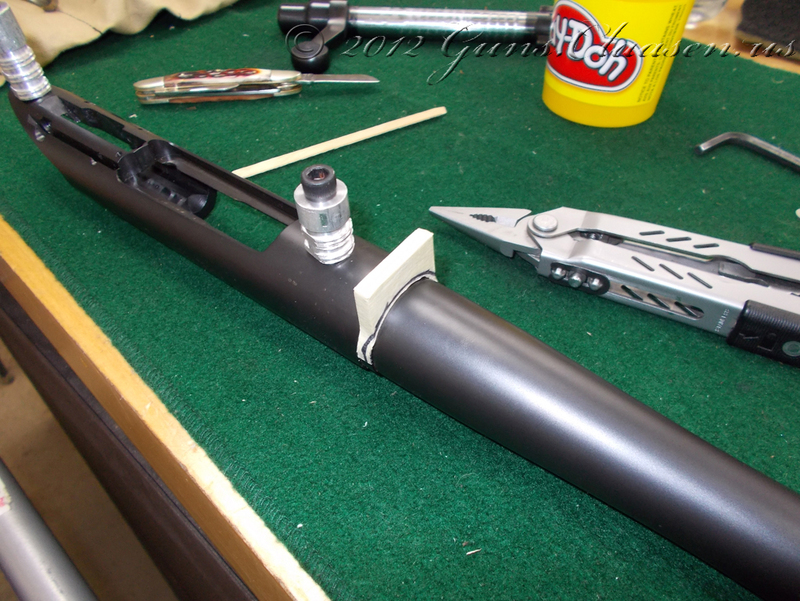 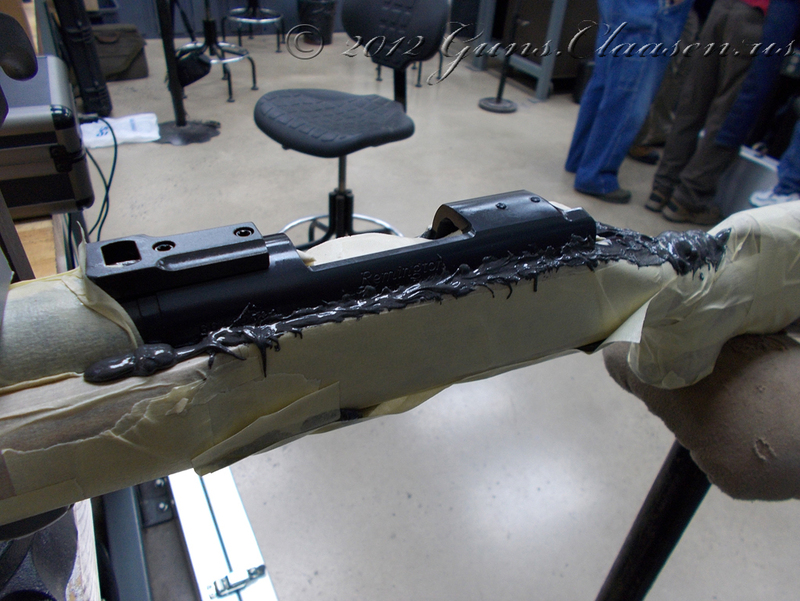 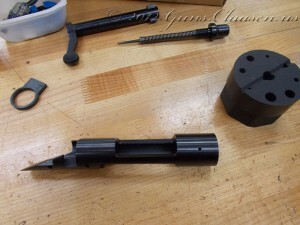 The bolt is disassembled as I only need the bolt body during the barreling and chambering process. 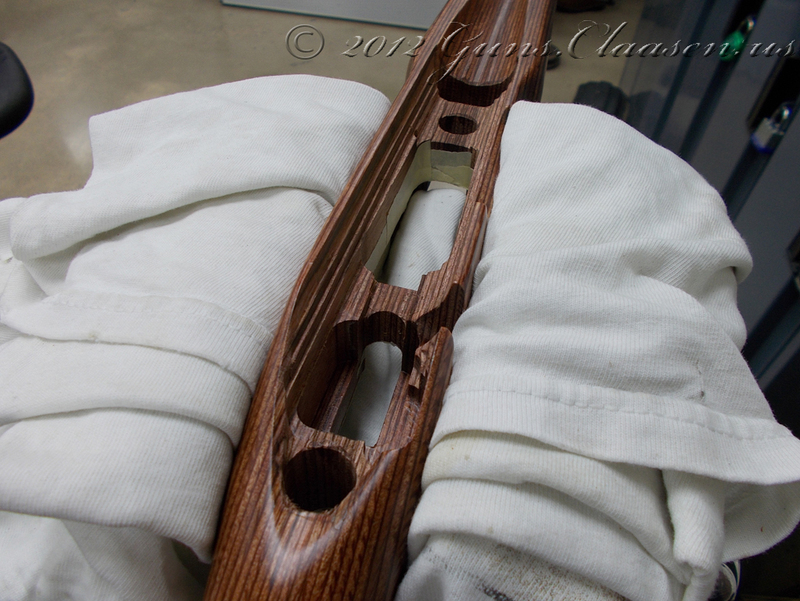 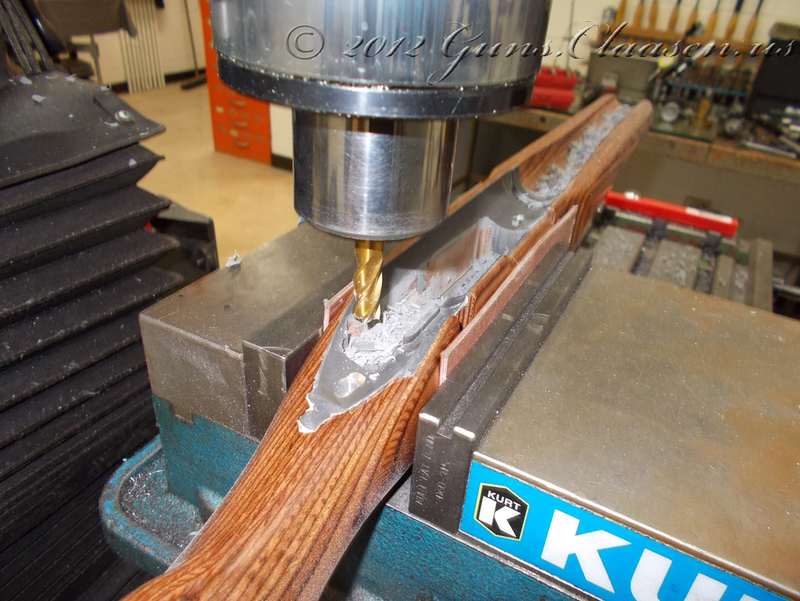 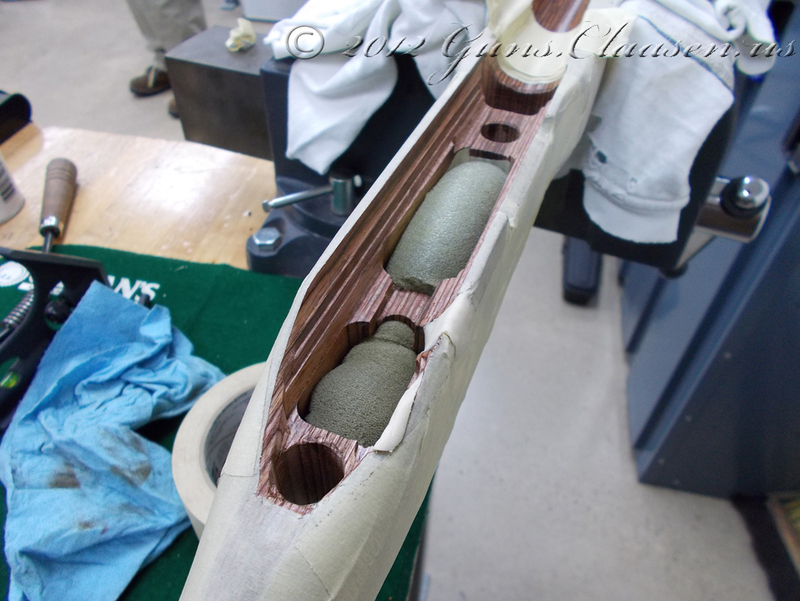 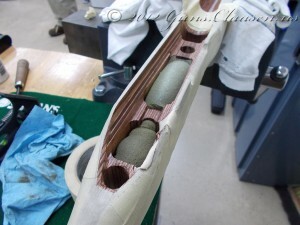 This picture shows the barrel blank. 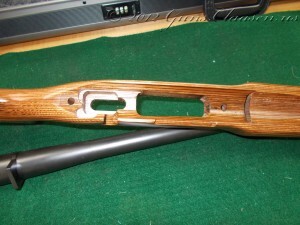 I purchased the barrel from Shilen as they give us a really good trade discount as students. 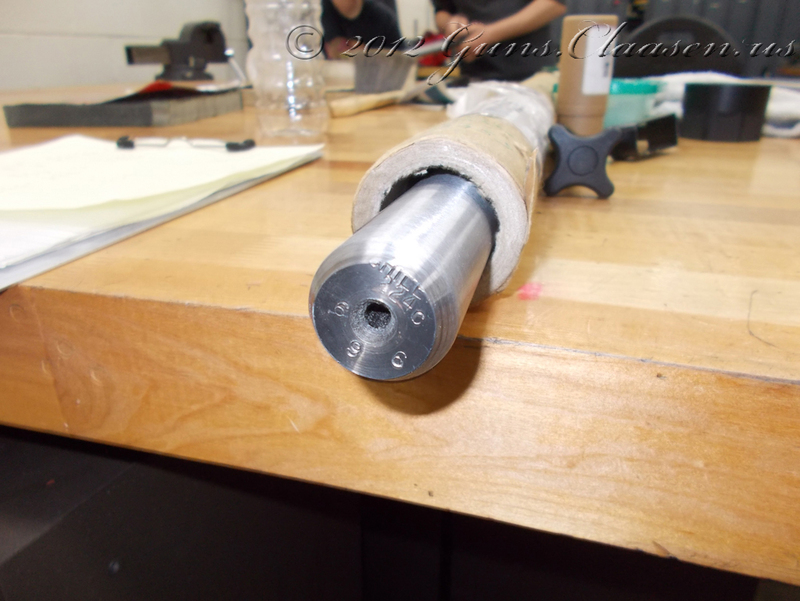 The barrel has a number 6 contour (which means it is pretty thick and quite heavy) and made from chrome moly steel. 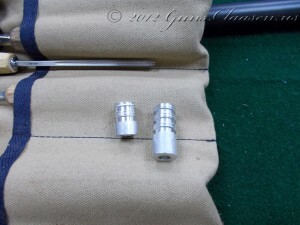 The twist rate for this is 1:9 to allow for the use of a range of bullet weights. 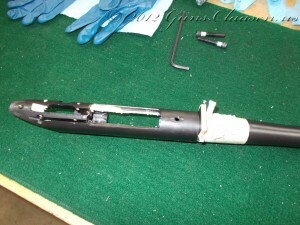 Here is the action without the trigger assembly. 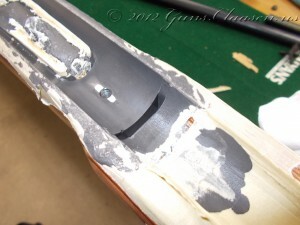 You can also see the recoil lug in the background to the left and center of the picture. 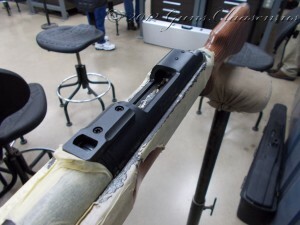 The recoil lug helps to control recoil once the action is mounted in a stock. 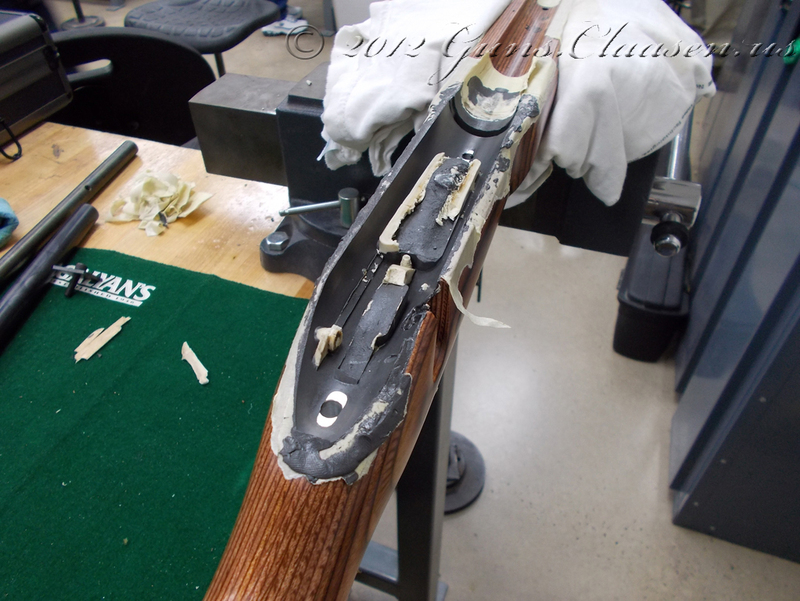 On the Remington 700, this is an extra piece. 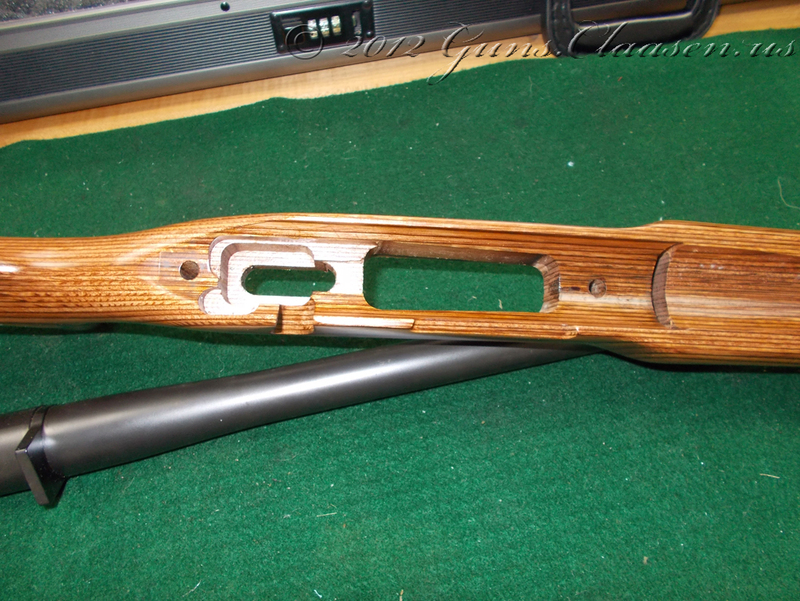 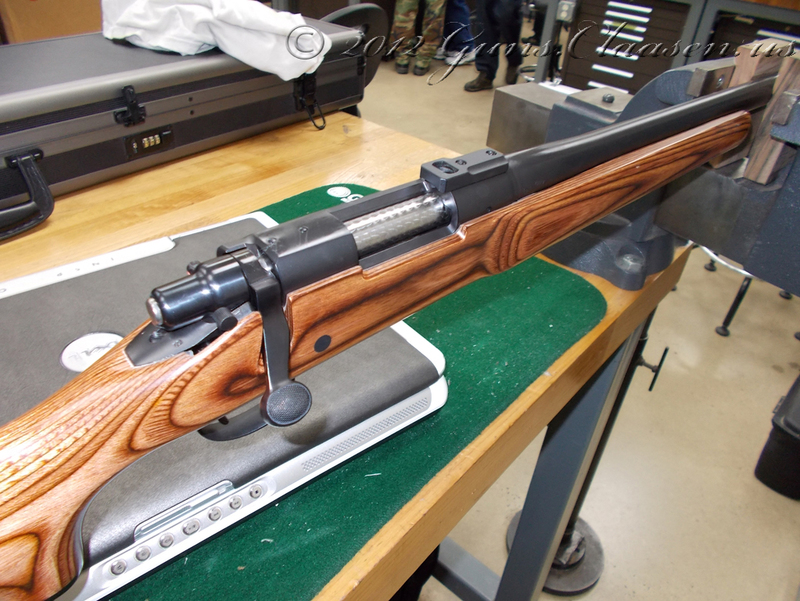 On the Mauser and FN actions, this part is part of the action. 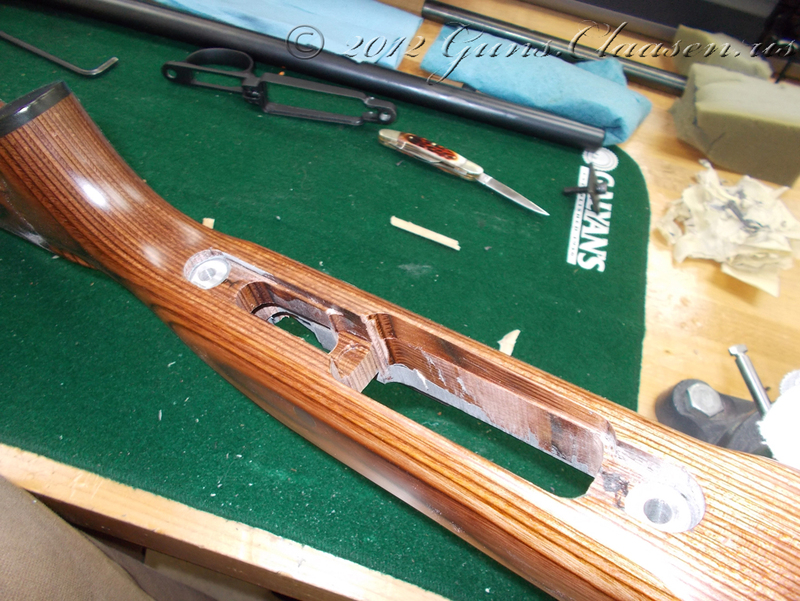 I started doing all the blueprinting work on the bolt and action. 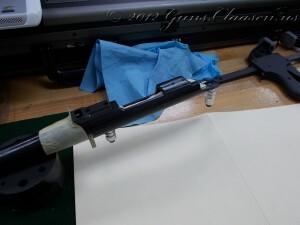 This allows for added accuracy. 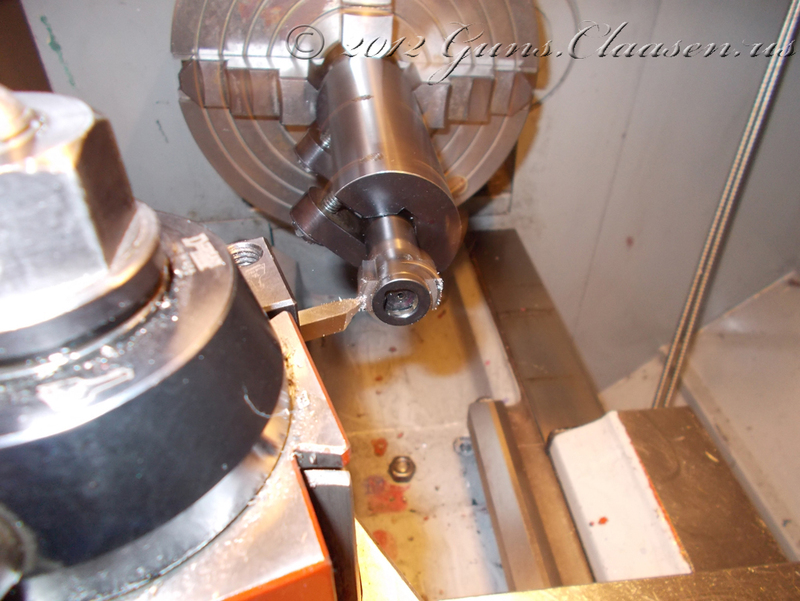 We use a fixture to mount the bolt in the lathe and then center the work piece just behind the lugs of the bolt. 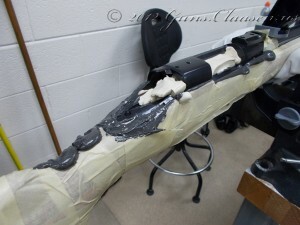 You will see the instruments we use to measure a little further down as we also use them for setting up the barrel. What is measured is known as run-out and shows how well the work piece is centered in the lathe. 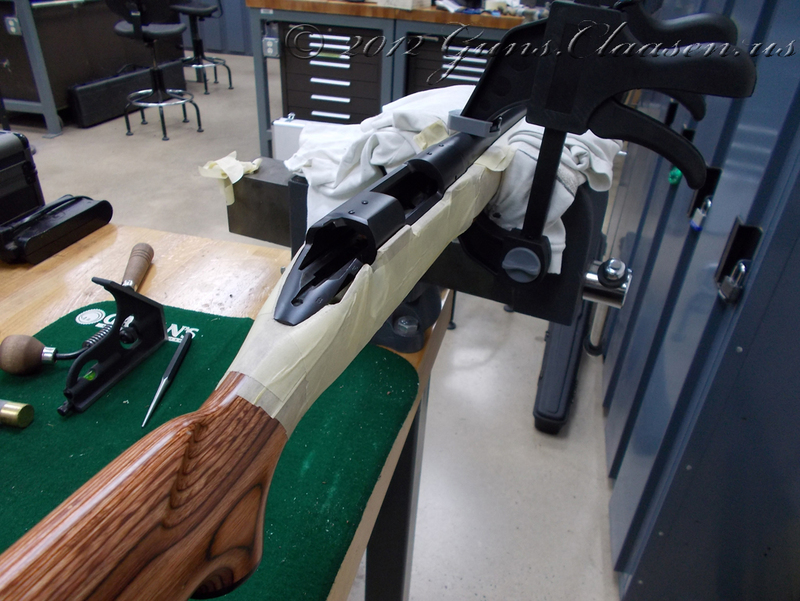 The more accurate the work is set up, the better it will function. 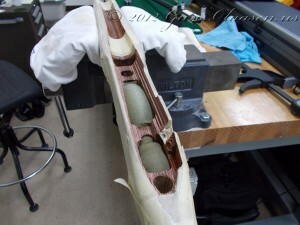 I try for zero run-out but it is not always possible. 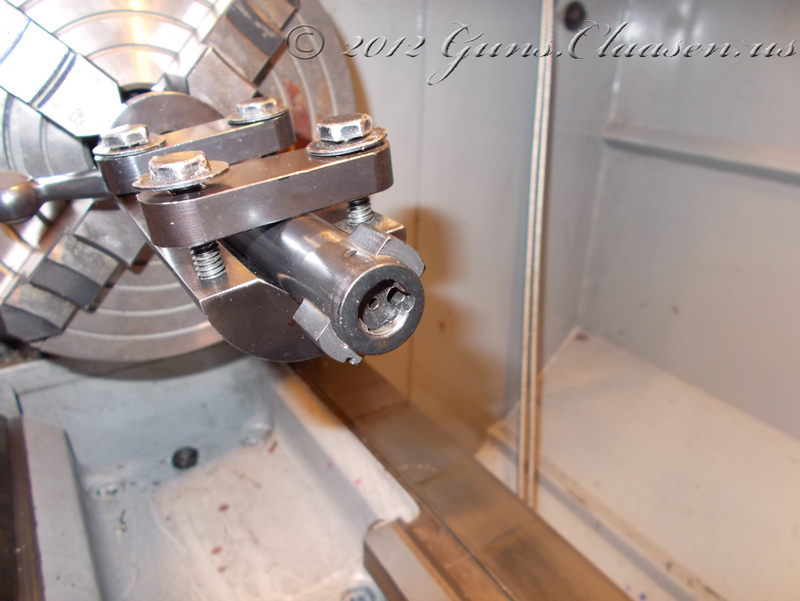 For this bolt I got it to less than 0.0005 inches (12.7 microns or 0.0127 millimeters). The next step was to “true” up the back of the bolt lugs. 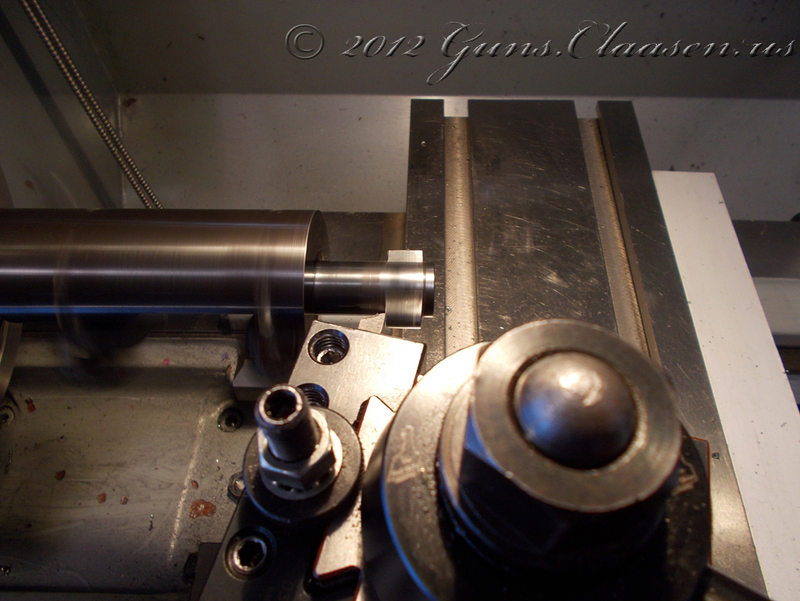 Truing the lugs just means we make sure they are the same height and that they are square to the bolt body. 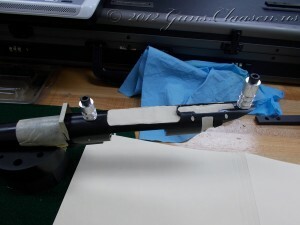 The first picture shows the process, the second shows the result. 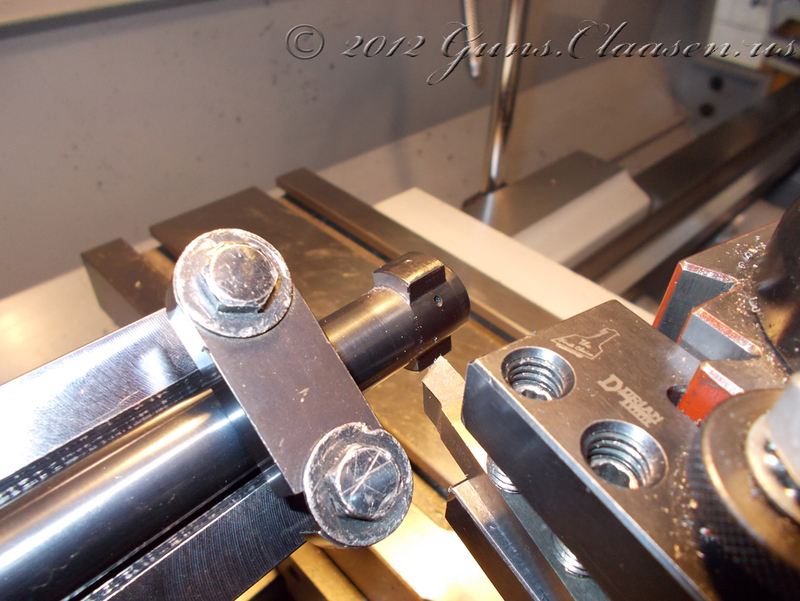 This process repeats on the front side of the bolt lugs. 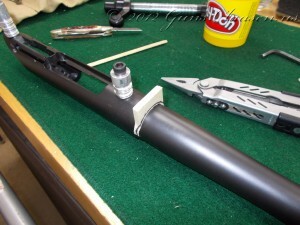 This is not always needed as it depends on the action. On the Remington 700 it should be done. Again I am showing a during and last picture. This is almost all the work on the bolt body for now.